Dental Care: Keep That Smile Gorgeous for a Lifetime! As we get older, it is common for the gum line to recede. When that happens, the root of our teeth become more exposed and therefore, more vulnerable to decay. A diet with frequent indulgences of sweets and sugary drinks can make this problem even worse because it can cause tooth enamel to demineralize and even dehydration if there is caffeine in the drink. The worst part about tooth decay is that it can be a problem long before a patient feels any pain or discomfort. Teeth can be significantly damaged and brittle by the time you actually start to feel something is wrong. Always be aware of any tooth sensitivity, pain when you bite down or irritation when drinking or eating something hot, cold or sweet. 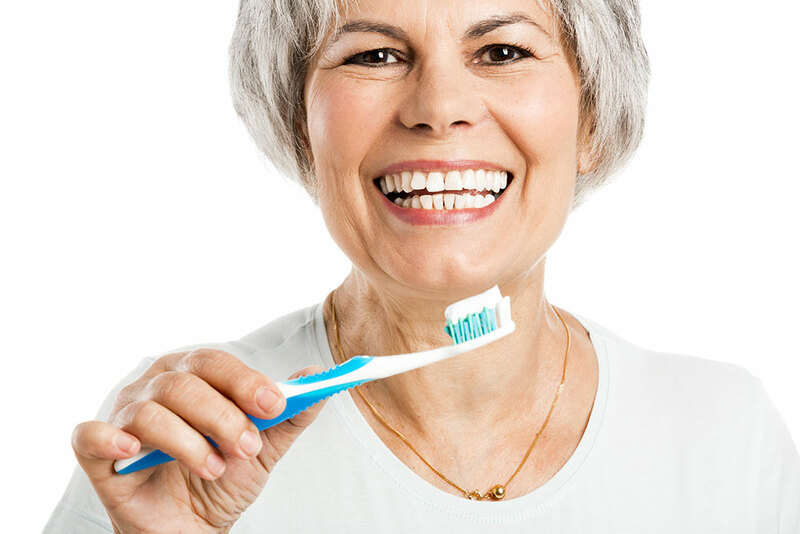 According to the Washington Dental Service Foundation, nearly 23 per cent of adults ages 65-74 have severe gum disease otherwise known as gingivitis. Inflammation of gum tissue is common and can also become quite dangerous if left untreated as it is a precursor to bone disease or periodontitis. The good news is, gingivitis can usually be reversed with proper hygiene routines and treatment from the dentist but periodontitis left untreated can be irreversible. Warning signs that you might be developing gum disease are swollen, red or sore gums, the appearance of blood while eating, brushing or flossing teeth, loose or separating teeth or premature receding gum line. Prescription drugs and even over the counter medications are a common tool to help seniors deal with minor to severe health problems and while they may address one issue, they can also cause other problems of their own. One of the side effects of some medications is the condition of dry mouth and that can turn an otherwise healthy mouth into a danger zone. It’s estimated that about 30 per cent of seniors deal with dry mouth and itors deal with dry mouth and it’’s something to notify your dentist about as it is a significant culprit in the formation of tooth decay and gum disease. Some easy ways to keep your mouth lubricated include cutting out caffeinated drinks, chewing sugar free gum to encourage saliva production, avoiding alcohol based mouth wash and quitting smoking or chewing tobacco. Dealing with a Fixed Income or Tight Budget? It can be a costly endeavour if you find yourself in need of reconstructive dental care but you do have options. Most dentists will work out payment plans with their patients to ensure they get the proper care they need. The City of Toronto also works with various community agencies, community health centres and local dentists to provide free dental care to Torontonians over the age of 65. The coverage includes everything from exams and cleaning to x-rays, fillings and extractions. Some root canal treatments and emergency and urgent dental care are also paid for. The city will also cover full or partial dentures but do require patients to pay for the lab costs for replacements or repairs. In the case of seniors receiving dementia care or Alzheimer’s care, family members and caregivers should consult with the dentist to get a demonstration to learn the safe ways to help maintain their loved one’s oral health.